Senior activities will be announced soon! The Hypernikon is available for purchase through TreeRing, an online yearbook publisher. The hardcopy yearbook will feature all the classic elements like Athletics and Student Life, but with TreeRing’s digital software, we will be offering a new personalized feature.  Every student has received a login for the TreeRing website in their Gordon mail inbox. This link will activate their yearbook account, with which they can upload pictures and create custom pages that will be printed in only their own books. This provided the opportunity for a true representation of a student's Gordon experience in their hard copy Hypernikon. The 2019 Hypernikon will cost $60 plus 50 cents per additional custom page for all students. All orders are due on April 19th and can be purchased through the TreeRing website. 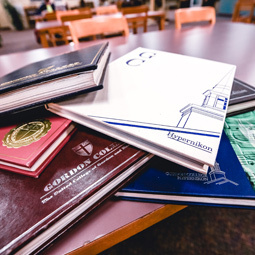 If you would like to purchase a yearbook for your student, please contact hypernikon@gordon.edu for assistance. Feel free to also contact us with any questions on creating custom pages, uploading pictures, or accessing your student's account.